WASHINGTON (CNS) — A bike ride of almost 420 miles in the Colorado Rockies over six days sounds grueling but it is not nearly as difficult as being homeless year-round, said the co-captain of a team that made the high-altitude ride to raise money for programs and services provided by Denver Catholic Charities for homeless people. 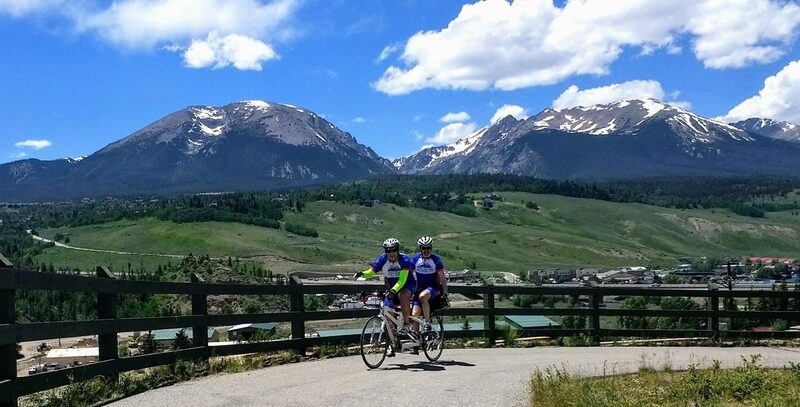 Dea and fellow co-captain, Tom Schwein, led Team Samaritan House in participating in the Ride the Rockies June 9-15. It is considered the “marquee cycling event of summer in Colorado.” Team members came from around the country to participate. More than 30 teams took part in the ride, many with their own causes to support. In interviews with Catholic News Service via email, Schwein, Dea and others on the 60-member Team Samaritan discussed why they participated and how the funds they raised will be used. As of July 3, donations had reached more than $162,000 of the team’s $300,000 goal. They plan to take part in more rides — the Triple Bypass July 14; Pedal the Plains Sept 14-16; and Tour of the Moon Sept 29. Carolyn Milano joined the team’s ride from Delano, Minnesota, where she is a member of St. Maximilian Kolbe Parish. A breast cancer survivor and mother of four, she has now completed five Ride the Rockies, she said. Homelessness is “a pressing need that must be addressed by our society,” Milano said. “Each time I came home from the hospital (after cancer surgery and treatment), I realized just how blessed I am. “My home is filled with love. All the people and things that are important to me are housed in my home. I look around and see my life, pictures of my family and children growing up displayed proudly in every room,” she added, describing her children’s “first pair of shoes, their artwork, records of achievements and their handmade cards for her. The team is named for Samaritan House, a ministry begun in 1986 and operated by Catholic Charities in the Denver Archdiocese. It provides the homeless with temporary housing and a myriad of other services. Funds raised by the cycling team will go toward programs to help shelter residents receive food, clothing, case management and “the tools to achieve self-sufficiency and build a new life,” said Schwein. Father John Therese Creus, a member of the Congregation of St. John, was invited to join the ride this year. He said daily Mass for the riders. “Such activities will have spiritual consequences on the person who allows themselves to become living instruments of Christ as well as (on) the recipients of these service activities,” the priest said. Dea rode tandem with Andre van Hall, who is blind. Editor’s Note: More about Team Samaritan House can be found here. A video recapping the team’s participation in Ride the Rockies can be seen here. When I was homeless, you gave me a home – says the Lord.